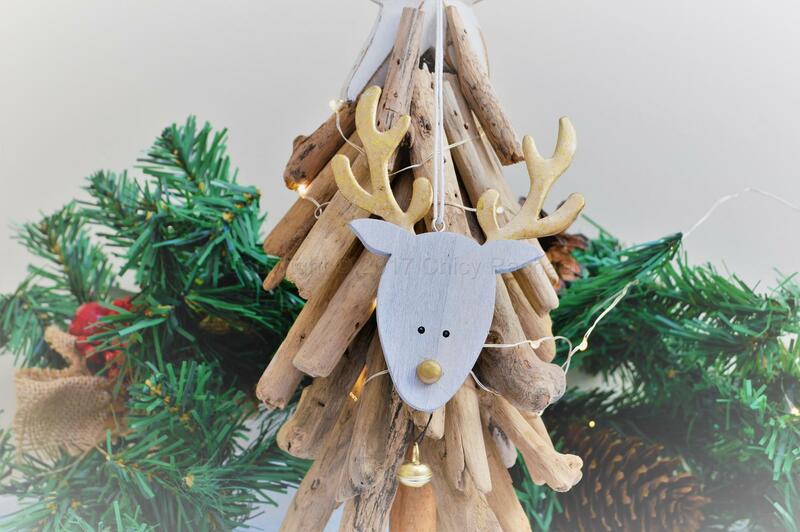 A sweet hanging wooden reindeer head complete with gold antlers and a hanging bell, it has a white string for hanging. With a shabby chic finish each one is slightly different. 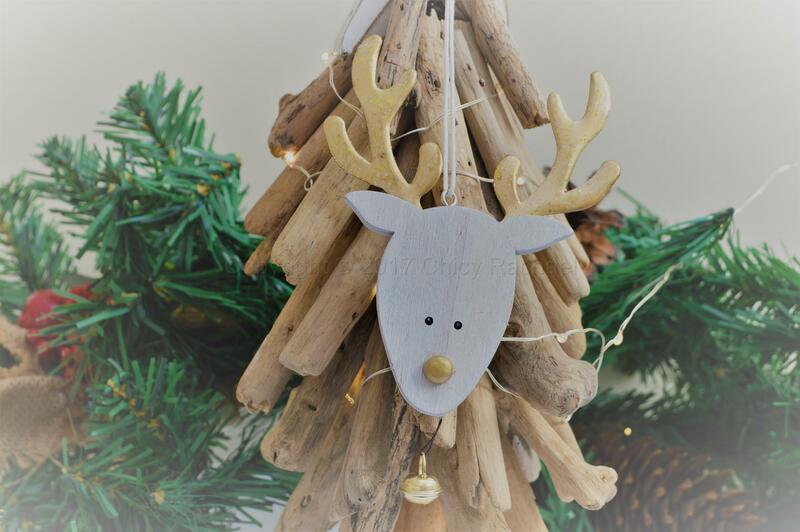 This would make a great addition to any tree or why not add to a present for the perfect finishing touch. Each on is slightly different.